Located in beautiful Contra Costa County, San Ramon is both a bedroom community and major employment center. Over 580 acres of orchard land was transformed into the Bishop Ranch Business Park, which houses the corporate offices of such giants as AT&T, IBM, Chevron, and Bank of America, supplying San Ramon with a rich economic base. The Iron Horse Regional Trails give the residents miles of supreme views and charming glimpses of the East Bay as they walk or bike through its scenic terrain. A highlight for most residents is the annual San Ramon Arts and Wind Festival with artisans and wares from all over the Bay Area. 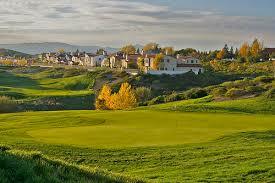 Scenic beauty, good climate and suburban charm, make San Ramon one of Contra Costa County’s finest gems.